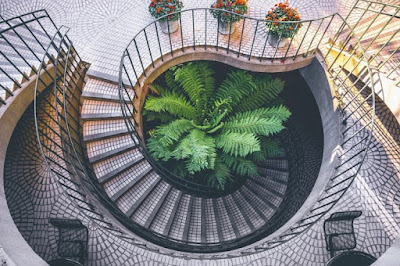 Moving into the home of your dreams is once in a lifetime experience, and you don't want to ruin it by making the wrong choices and taking the wrong steps. 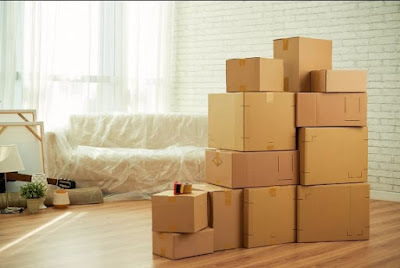 There are several phases you have to go through when you’re moving to a new home like planning, packing and moving. Even after you move, you’ve to face even greater challenges like unpacking all your stuff and throwing away the useless things. That's why in this article we’ll show the most important steps you should take before moving to your new house. Whether you hire an expert to do the painting job or choose to paint by yourself, this needs to be done when the rooms of your new home are still empty. Empty rooms are a lot easier to paint, and you don’t have to worry about messing up anything. Clean up your room first and then finish the painting job well ahead of setting the furniture. This allows the paint to settle down and the scent goes away before you move in. Do the painting yourself or hire a professional crew to speed up the things. Make the color scheme of your house according to your furniture's color. 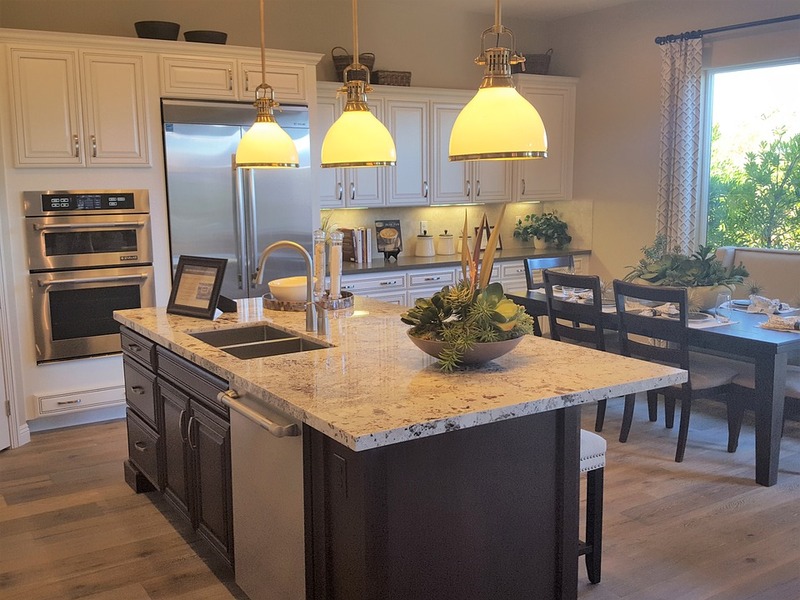 If you’re moving into a house that you planned, you might already have all the power ports and electrical outlets that you want. But moving into a new house requires you to double check the wiring and upgrade all the power outlets to customize them according to your needs. 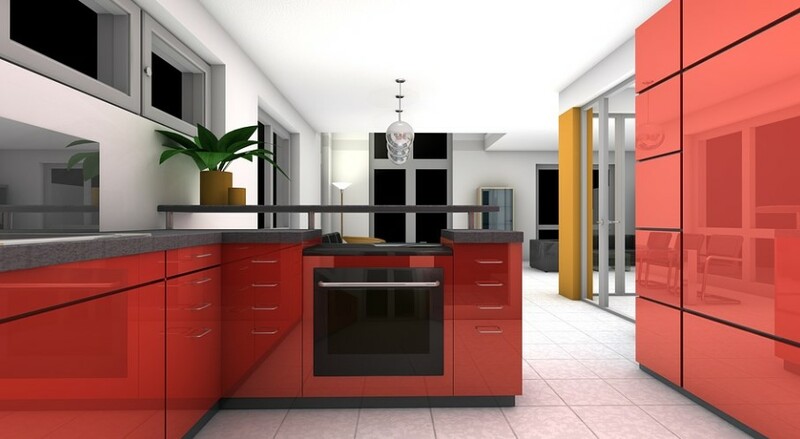 Before moving in, decide where all of the TVs, ovens and other appliances would go and then upgrade accordingly. 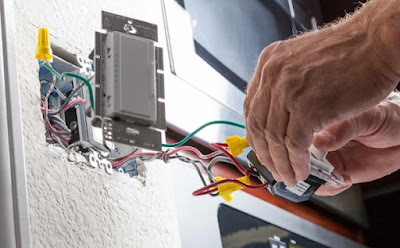 Hire an electrician that is licensed and bonded so you know it's going to be up to the local codes. The last thing you want is a bad electrical job causing problems down the road. You never know how many people have duplicate keys of your old house's locks. That is why we suggest changing every lock of your house especially if you’ve just bought an old house to move in. Re-Keying all of the locks would give you peace of mind; you can freely go on a trip without the fear of a neighbor or ex-owner entering your private property without your permission. Do you use your garage to park your car? Or do you use it as a storeroom for all of the useless stuff? Either way, you should get the garage/storeroom of your new house ready before moving in. Because you’ll probably need to store some of the packed boxes from your old house. Mark all the boxes containing useless stuff as “Storage,” load them on a separate truck and fill the storage first, before setting up rest of your house. This will help you keep things nice and tidy. Getting custom closet organizers installed and ready is another great thing when you’re planning to move with all your stuff. Hire a team of experts; they’re really quick in installing the closet organizers and generally takes only a day or less. If you're on a budget you can go to your local home improvement store and easily save some money by installing them yourself. 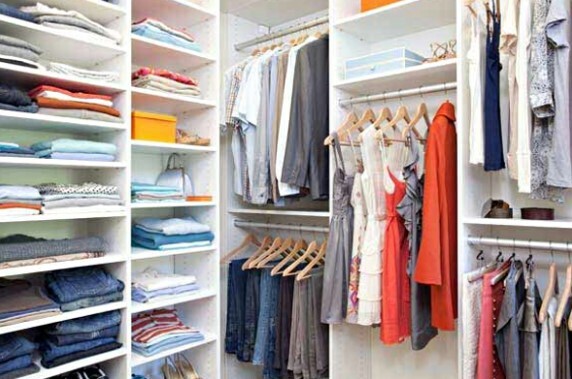 Custom closets come in handy when you're looking to organize and keep your clothing neet and tidy. So, you’ve just moved into a new home, and the designs are still not decided. Whatever it is that you’re thinking right now, always remember that it's the little things that make a huge impact on the overall look of your home. 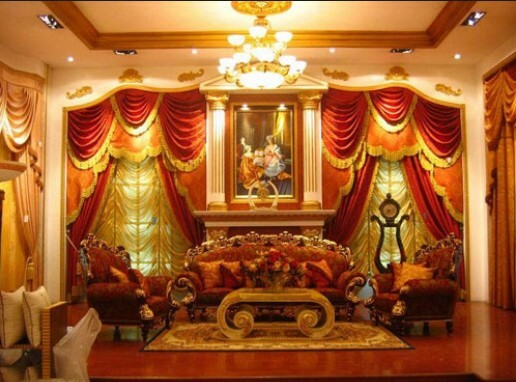 An ideal interior design idea is that which costs less and requires less effort to be executed properly. Whether you're moving into a new home or just redecorating your current one, read these simple and inexpensive ideas below. Did you know that the addition of a mirror, a lamp or even a flower pot can impact the look of your home? 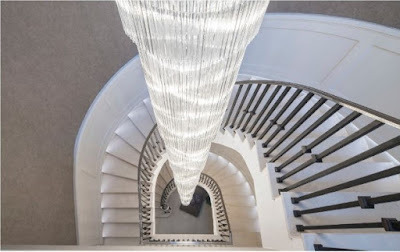 Well, carry on reading, because in this article we bring you the best interior design tricks for your new home. Heavy paints can make your rooms look smaller and concentrated by adding unnecessary bulk and contrast. While on the other hand, painting a room with light, softer colors might actually make it look larger. Also, the addition of mirrors, large windows, large scale art pieces, and some other items can help your living room look spacious. 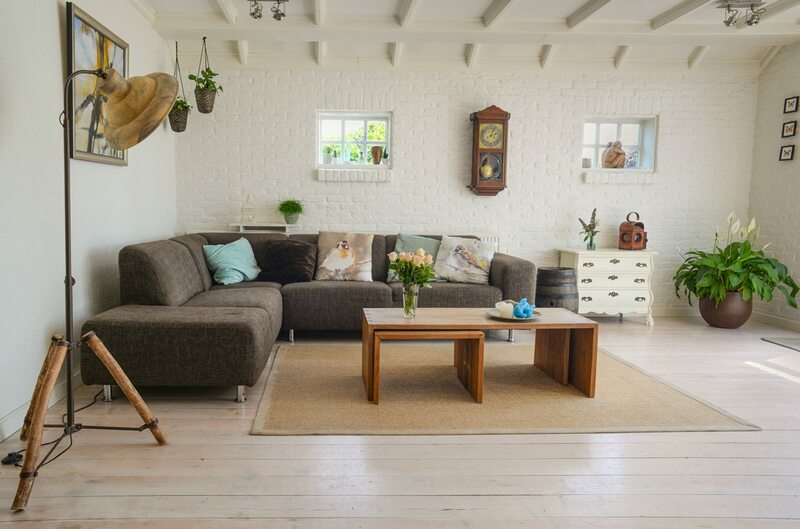 The more the natural light falls on lighter colors, the more spacious your room appears to be. Customize your room according to your personal taste and personality and avoid following the typical room furnishing designs. Your room must reflect your persona and personal interests. It's okay to use old items that you're emotionally connected to and mix them up with some modern and well-designed furniture pieces to make an excellent contrast. 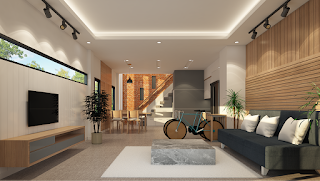 Also utilize art pieces, rugs, and textiles of different patterns to make your home interior look unique and customized according to your needs. These things add texture and class to your living space. 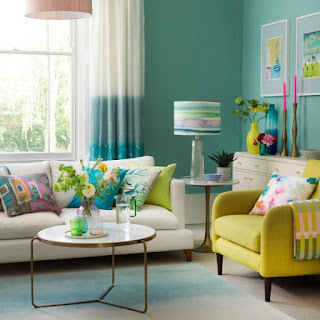 Saving some bucks can be a real hassle especially when you are trying to decorate your home as beautiful as possible without worrying about the budget. Take a look at what you already have in your home or in the garage. Take a good look at everything, run your creativity and make something out of nothing. This can save you A LOT of money. Things like sliver utensils, plates, and wooden decorative pieces can help you in the task of saving you money. Hang those beautiful plates and make wall art out of it, clean up that old kid’s art pieces and decorate your child's room. Just take your time and think about what you possess, you’ll be amazed to know what you can actually do with what you already have. There is nothing more beautiful than some greenery in a home. Buy any plant of your choice and add some to every room of your house. 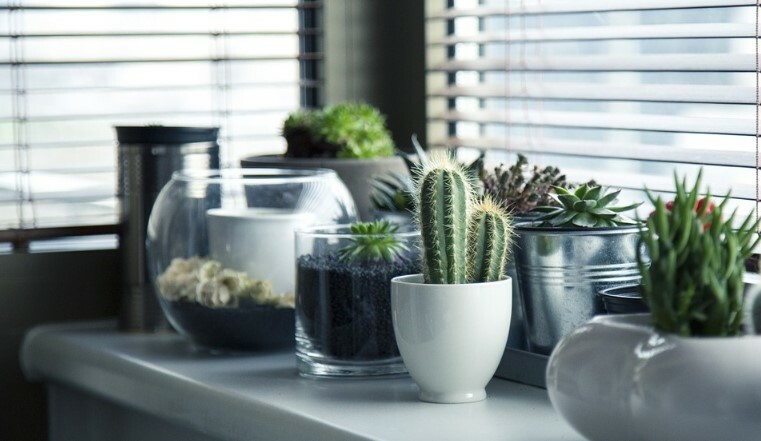 Plants aren’t just decorative, but they can also clean the air inside your home and provide you with fresh oxygen in the morning. If you don't have a green thumb there are some great looking silk plants available that look so real you can't tell the difference. When using real plants just make sure that you water them properly and that the pots are free from any leakage. Also, choose those plants with exotically colored flowers. This will make the plant pop and bring out the colors in the room. 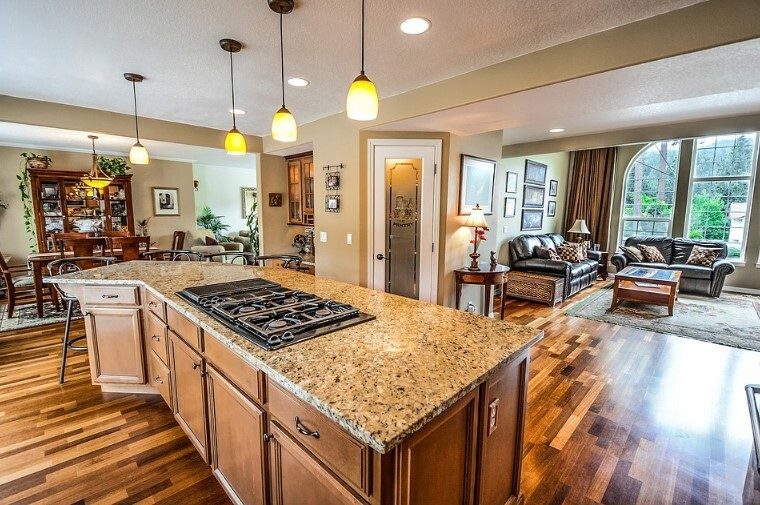 Whether you’re moving into a new home or retouching the old one, the flooring needs to be proper and long-lasting. There are different types of flooring materials; everyone differs in price and comes with its own pros and cons. Each type of flooring material is only good for a particular type of room or place in your home. 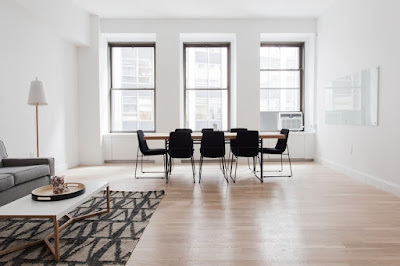 So, in this article, we’ve gathered some of the best flooring materials that you can use to finish your new home or just retouch the old one. The cost of hardwood can vary widely depending on the type and quality of hardwood you choose. You’d have to buy the hardwood first and then hire an expert to install it. To save some cost, you can use the engineered wood that costs less but comes with its pros and cons. 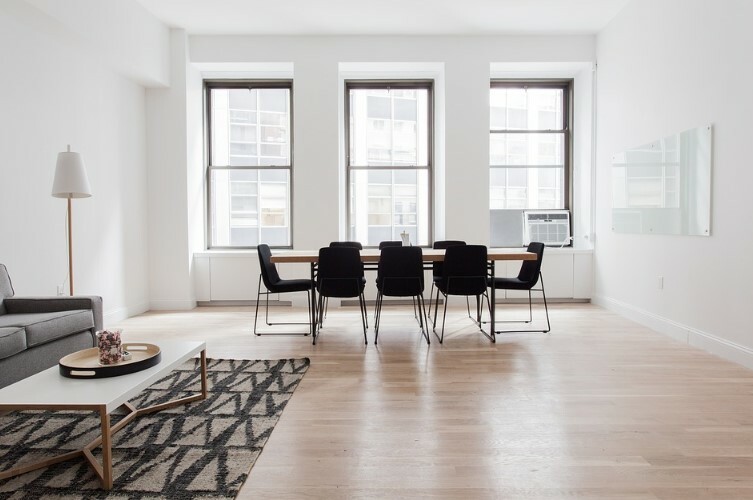 A benefit of using the hardwood for the flooring of your new house is that it looks elegant has a good resale value and is very easy to clean (only requires vacuuming once in a while). However, hardwood is costly, noisier and needs refinishing now and then. It is more prone to damage in busy areas of your house, and it can also be affected by water. The best place to install hardwood is in your living room, it looks awesome and unique, and since living rooms are usually less busy areas, it helps retain the quality and gloss of your hardwood for a bit longer. Tiles are available in a lot of different styles, shapes, and colors in the market nowadays, and price depends on these factors as well. In addition to the initial cost, tiles require a professional installation that might cost you hundreds or even thousands of dollars depending on your area. Tiles are rock hard, glossy and water resistant. They last much longer than most of the other alternative flooring options. They are made with a variety of materials and are easy to clean. 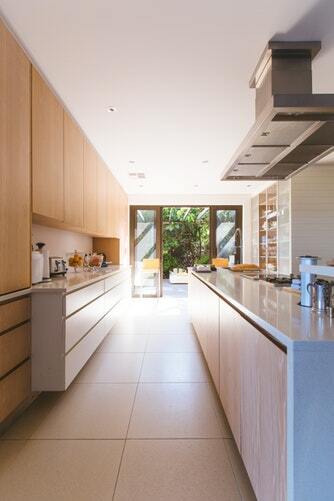 But tiles like hardwoods, tiles are also very noisy to walk on, and tiles cracks are not that easy to repair either. 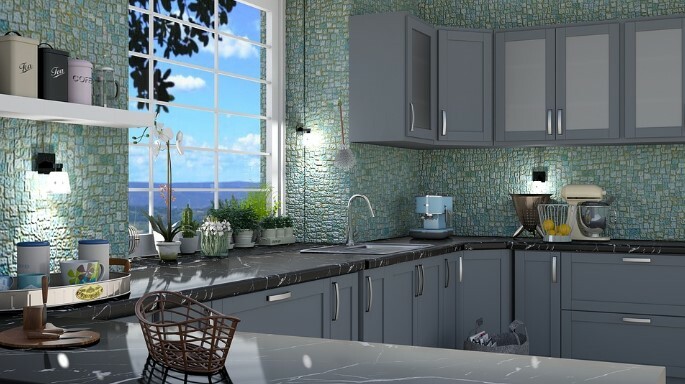 Since the main feature of tile is their water resistance, they are ideally installed in areas like your kitchen and bathroom, where a liquid is expected to be spilled on a regular basis. Carpet has been making a comback and is a popular home flooring option as of lately. Carpet is usually somewhat affordable and is also relatively easy to install. 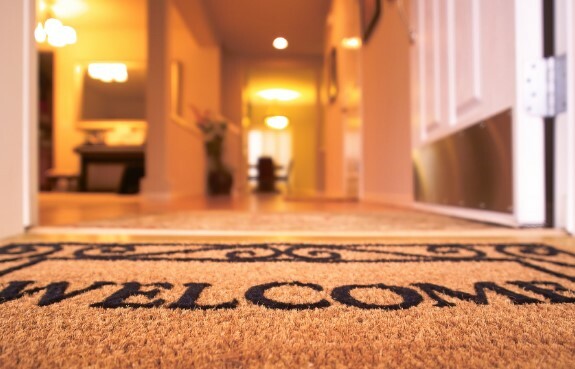 The price can fluctuate anywhere between $2 and $5 per square foot depending on the quality of the carpet. Carpet is very soft and are comfortable to walk on, and unlike hardwoods and tile, carpet is much quieter. A carpet can easily be fitted into the uneven spaces hiding imperfections in your floor. But on the other hand, carpets are easily stained and are very difficult to clean. 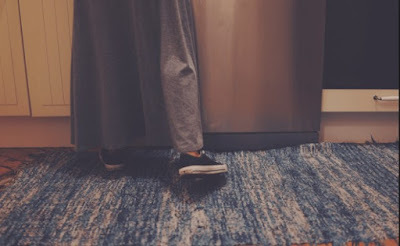 Even after regular vacuuming, dirt can accumulate in your carpets, and this can cause serious health problems specially if you have allergies. Carpets are best installed in low activity areas of your house like a bedroom. This minimizes the chances of it getting dirty and unhealthy for you and your family. with weekly maintenance, carpet can be a great option when choosing flooring for your home. Empty walls are filled with possibilities, and you can use the blank walls of your home sweet home as a canvas to display your interests and hobbies. 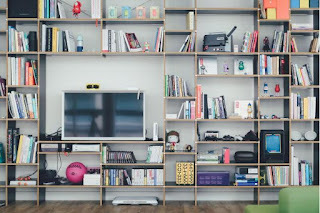 Moreover, walls are the single largest open spaces in any home, so, if you’re trying hard to decorate your home, try putting more attention to the walls, you won’t be disappointed. 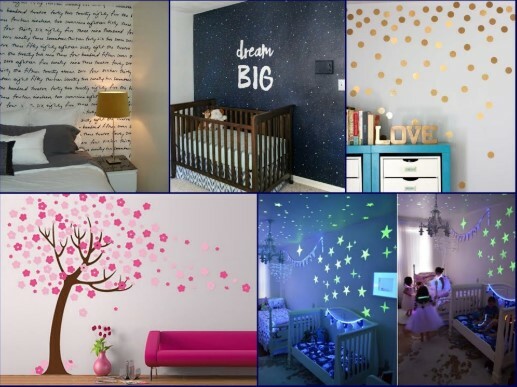 Here are some tips and tricks you can use to decorate your walls and make your home beautifully put together. 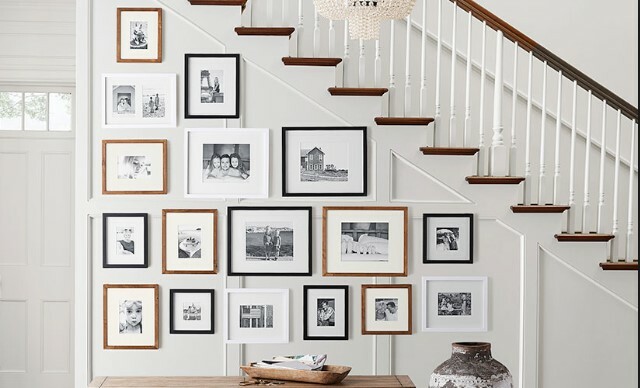 Gallery walls are a great way to keep your memories together in the shape of pictures, paintings, and other colorful art pieces. 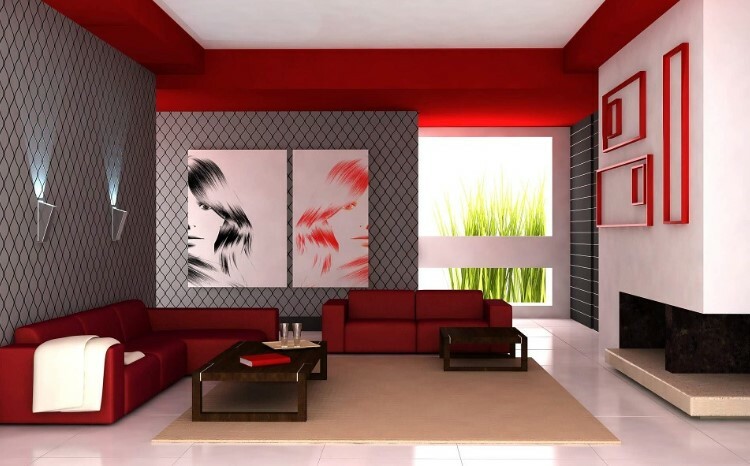 For this purpose, select a relatively smaller and lightly painted (preferably white, off white) wall which is easily viewable to anyone entering into your room. 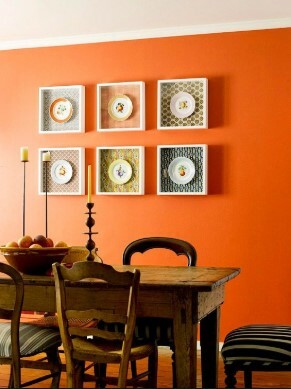 Buy simple, cohesive frames of different sizes to represent simplicity and class. 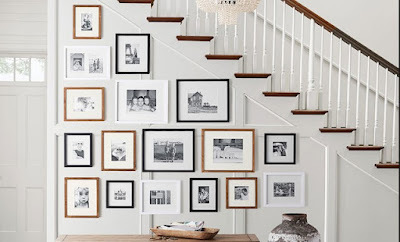 But try not to overcrowd things, only hang your key pictures (your wedding, graduation and birthday pics, etc.) on a gallery wall. 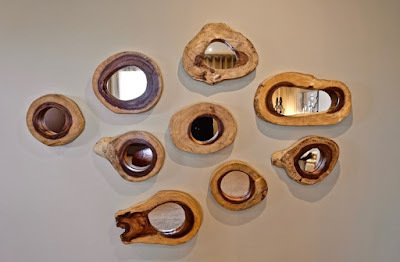 Gallery wall not only enhances the beauty and look of your home but also gives the visitor an idea about your personal interests and important life experiences. This adds character to your beautiful home. 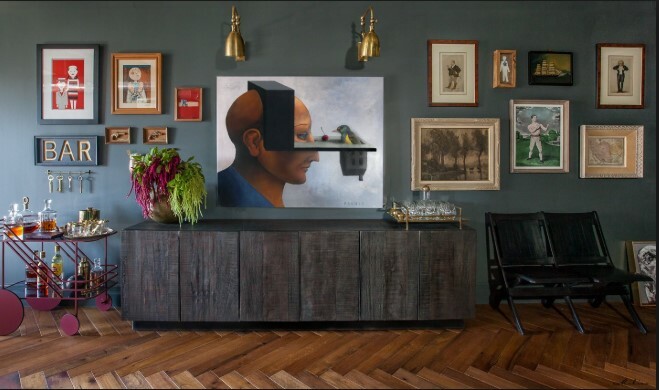 Hang a large scale art piece on one of your walls; this would draw everyone’s attention by adding more detail and meaning to the wall. Choose a black and white image of beautiful scenery or get a colorful one with the colors matching the wall behind. The art piece should be vibrant and high quality, as this would be the main focus. Large scale art is best utilized in living rooms with plenty of natural light entering through the windows. This makes the room look organized and clean. Fabrics are a lot easier to hang on the walls. You can also remove them easily when moving to a new home as compared to the wall paintings. It's up to you to choose between the two, but let's clarify that fabrics and wall paintings are equally good to enhance the beauty of your home or apartment. Hanging a piece of well decorated and high-quality fabric to a wall in a room adds class and sense of softness to your space. Vintage scarves or other good textiles are another option for a textile look. Try and choose some exotic, eye-catching colors with unique designs. You don’t need to go into the minor details to make it work, but choosing various smaller art pieces would definitely help. You can buy a clock with different art pieces around it for added detail, hang an oversized mirror or several smaller ones in salon style to make the room look bigger, hang some fine plates with your kitchen wall and so on. The choices are literally endless, but you should always invest in the things which give you a good ROI (return on investment). Try and skip the useless, expensive stuff that adds no value to your home and only digs a deep hole in your pocket. 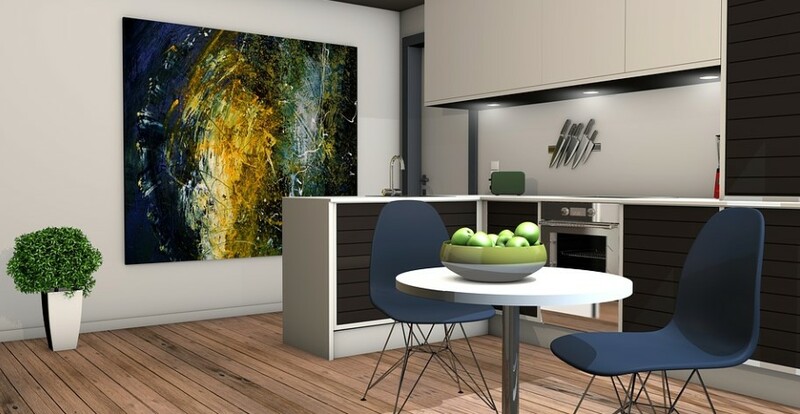 Even if you’re on a budget decorating your home, you can still use the techniques mentioned below to make your home look like a piece of art from a luxury magazine. Just keep on reading for some cool tips and tricks to decorate your new home for less. 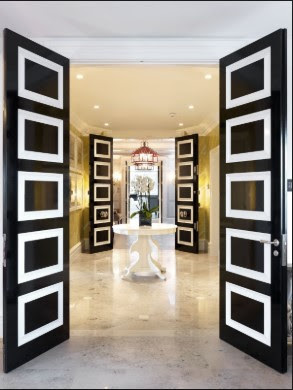 One thing is very common amongst luxury homes; they usually have well-crafted and uniquely painted doors. So, before planning to paint the whole house white, just make a good color scheme for your doors and make them stand out. If the walls of your home are painted with light colors, then go for a darker shade on the doors that would make them pop out and catch everyone’s eyes instantly. Being resourceful can literally save you thousands of dollars. Painting the walls yourself, creating DIY art pieces and repairing the furniture are all valuable skills one must have. So, step out of your comfort zone and learn some skills that might come in handy while setting up your new home. These skills would allow you to optimize the things according to your personal taste and want. I can write all day the pros of having a well-lit home. You can easily spend a little money on installing new, bright lights and improving your windows to let more light in. This makes everything in your home shine, highlights the beauty and cleanliness of your home interior and certainly makes it look luxurious for way less. 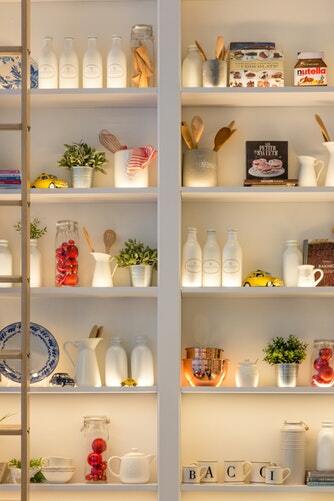 The most cost-effective way of improving the lighting is clever window positioning. Place the windows so that they face the sun all day long to let all the bright light in. The first impression is the last impression; this quote also works in the home décor industry. To make your home look luxe and appealing to the eye of visitors and maybe even some clients, you must make the entry of your home well decorated and colorful. Maybe add some beautiful exotic flowers and other plants to give a fresh look, or decorate the entryway with paintings and other stuff. Try to make a centerpiece of art you want your visitors to focus on (like a chandelier or a table), and add other accent pieces around it. Curtains are one of the subconscious things that allow a visitor to access the state of your home. So, spend some bucks on window coverings and good looking curtains to make your home look luxurious for less. Want to save some bucks? Here’s a quick tip, you should always buy the cloth of the curtain and either sew it yourself or hire a person who’d work on your budget. This way you’ll be able to pick up the colors by yourself and make a perfect curtain to go with the color of your walls. Also, add blackout curtains to every bedroom. If you’re looking for an alternative to real greenery, consider decorating with silk flower arrangements and silk trees. You can choose from a variety of silk products, which gives you many options when decorating your home. Here are some tips for decorating with silk flower arrangements and silk trees. Match your flowers with the walls or cabinetry, or you can simply match your flowers with certain accents. For example, if the area rug or pendant lights in your kitchen are green, you can enhance the look with green silk flowers on the counter. There are several ways to create a beautiful centerpiece with silk flower arrangements. One is to surround a wooden or white lantern with silk flowers to create a country centerpiece. Create an elegant centerpiece by placing a candle on top of a cake stand and surrounding it with the silk flowers. Give your home a vintage look by placing your silk flowers inside tea, coffee or soup cans. You can clean and re-use your own tin cans, or you can purchase tin cans from thrift stores or flea markets. If you can find tin cans in older designs, Even better. The best part is you do not have to worry about drilling holes in the cans for drainage like you would for real flowers. In addition to decorating with silk flower arrangements, you can also compliment the flowers arrangements with silk trees. It is a safer option for a home with children and pets, and a better option if you cannot maintain a real indoor plant. There are so many different options with silk trees such as ficus, maple, palms and almost every tree imaginable comes in an artificial version. Here are some ideas for decorating your home with silk trees. Use your silk trees to enhance the conversational area in your living room. Place a silk tree on either side of your couch and chairs to bring attention to the seating arrangements. If you’re looking to create a conversational area in your kitchen, consider placing a silk tree on one end of your breakfast nook, with just enough room to enter and exit the bench. You can also invest in an outdoor silk tree to enhance the conversational area on your patio or deck. Silk trees are great for hiding unsightly areas, such as cords and outlets. All you have to do is place the tree in front of the area you wish to hide. 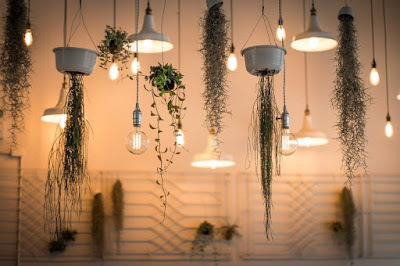 You’re sure to notice a beautiful ficus, bonsai or flowering tree instead of your chargers or wall outlets. You can also use silk trees to hide imperfections that can’t be repaired yet, from chipped paint or plaster on your wall to a small stain in your carpet. The sky is the limit when you’re decorating your home with silk flower arrangements and silk trees. Whether you’re enhancing your interior or hiding an imperfection, you’re sure to come up with something that works for you.